1 Bedroom Flat For Sale in London for Offers in excess of £800,000. A rare opportunity to purchase an unmodernised lower ground floor flat (757 sq.ft) with direct access to beautiful communal gardens in the heart of Notting Hill. The property currently has one bedroom but there is potential to add a second bedroom subject to the necessary consents. The flat is part of a white stucco-fronted building and is located on a popular residential street. The house is on Elgin Crescent which runs off Kensington Park Road. 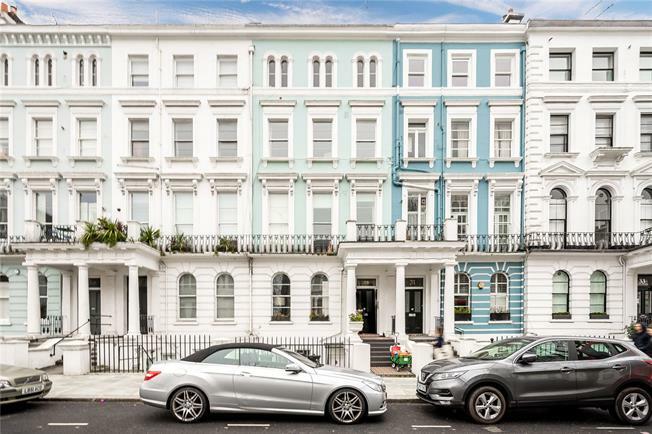 It is one of the area's most preferred streets due to the impressive architecture and its proximity to the world famous Portobello Road with its weekly antiques market. Westbourne Grove is also nearby with its international boutiques, numerous popular bistros and restaurants.